In general, your payment history has the strongest impact on your credit score. About 35 percent of your Equifax Credit Score, for example, is based on your payment history. That means that any late payments – whether on your credit cards, an auto loan, your mortgage, or another credit account – could cause you credit score to take a dive. Your late payment history will stick around on your credit report, too. For example, one delinquent payment that is 30 days late can remain on your credit report for up to seven years. Tip: Paying your bills in full and on time should reflect positively on your credit score. To avoid a late-payment blemish on your credit report, consider using automatic payments or setting up electronic payment reminders on your phone or computer. Your credit score also takes into account your credit utilization (how much of your available credit you are using). A high debt-to-creidt ratio – meaning that you are borrowing a significant portion of available credit – will generally have a negative impact on your credit score. If a creditor or lender accesses your credit report because of a transaction you initiated, it will trigger a hard inquiry on your credit report. If you apply for too much credit over a short period of time, triggering many hard inquiries, your credit score could drop and lenders may view you as a higher risk. Tip: Because credit scoring models consider your recent credit activity to evaluate your need for credit, only apply for credit when you really need it to avoid overextending yourself. Closing one of your credit accounts could reflect negatively on your credit score because if will change your credit utilization. If you close an account, you may lower the combined credit limit on all of your accounts, making your debt-to-credit ration appear higher. Tip: While positive credit behaviour – such as paying your bills on time – will reflect positively on your credit score, you don’t need to carry a balance on all of your accounts. Instead of closing an account, consider paying off a small purchase on the account every few months, which will generally get reported to the credit reporting agencies. About 5 to 7 percent of your Equifax credit score is based on the length of your credit history, and the score considers both the age of your oldest account and the most recent account opened. If you do not have at least one credit account open for at least six months or if you do not have at least one credit account in the last six months, you man not have a credit history or credit score. Without a credit history, it is difficult for creditors to determine your creditworthiness when making decisions about extending you credit. Tip: If you plan to borrow money in the future, start thinking about establishing your credit history now. If you don’t have a credit history or you have a thin file, consider opening a retail, gas or low-interest credit card in order to start building a positive credit history. Know where you stand: as you work on boosting your credit score, make sure to regularly monitor your credit report so you know where you stand. If you spot any errors on your credit report, file a dispute with the necessary agency to have the erroneous information corrected as soon as possible. Lately I have run into a lot of people who have had some “innocent” issues with their credit. Things that they really had no idea was going to affect them negatively when it comes to buying a house. I thought maybe a little refresher on what will affect your credit would be in order. 1) Payment history – This is one of the most important things to keep on top of. Paying your bills on time is so important. I recently had a young couple looking to buy a house. We got them approved to buy their house but the deal ended up falling apart (they didn’t sell their current house and the offer expired). Just over 2 and half months later, they found a new house for $30,000 less, should be a slam dunk but I had to pull new credit reports, as they have to be pulled within 3 months of your possession date to be up to date. His credit score dropped below the insurer’s guidelines. After reviewing the report, the only difference on his credit report is that he had been late on one payment in the last couple months. That was enough to put it below guidelines and I had to decline their financing. They didn’t realize something so small could cost them their house. Nothing can be done to fix a late/missed payment except for time passing. 2) Debt Load – Do you have a lot of debt? Things like high balances on your credit cards, credit cards being maxed out or several different credit cards with outstanding balances on them can really pull down your credit score. Even if you make all your payments on time, having a credit card that is maxed out or has gone over the limit, never looks good to lenders. At least this category is one that can adjust your score by paying down your debt as soon as possible. 3) The length of time you’ve had credit – Your credit history is another important factor. Typically lenders like to see at least 2 different trade lines (credit cards, loans, line of credits) for at least 2 years! Having a credit card for only a few months, even when paid on time, doesn’t give the lender a very good idea of how you can maintain debt long term. It’s not terribly hard to keep up with your bills for a couple month, but a couple years can be another story. If you have a credit card that you really don’t use anymore, as long as there is no annual fee to keep it open, then just let it sit there. 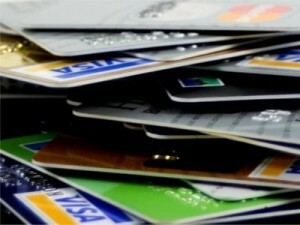 Having a card, in good standing, for a long period of time, always looks good and helps boost your credit score. 4) Applying for new credit – every time you apply for some type of credit, your score can take a hit. Too many inquires (credit report being pulled) in a short period of time can affect your score in a negative way. For example, car shopping! This is a big one. Each dealership you visit will pull a credit report. Every time your credit is pulled, it shows up on your credit report. This is one of the advantages of working with a mortgage broker when shopping for a home. We pull your credit report only once and then submit it to different lenders. There aren’t multiple checks done on your credit. 5) Variety in your credit – By variety, I mean having a mix of different types of credit, credit cards, line of credit, car loans, and personal loans. By having a variety of different types of trade lines, it can improve your score and allow lenders to see how you handle different types of payments. Hopefully some of these tips can help you work on your credit score so you have an easier time when it comes to purchasing your home. I am always here to help if you have any questions.